« Human Action Reveals The Reality About Political Decisions. 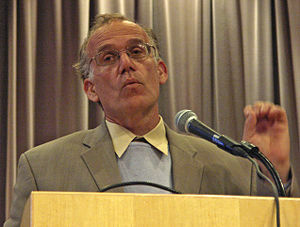 Victor Davis Hanson, Post Modern Prudes. Victor Hanson gives examples of social norms that seem to contradict themselves. His list of examples makes you think. How many more contradictions can you come up with. Read his article titled, “Postmodern Prudes”, at victorhanson.com. Here are a few excerpts from the article. Here is one that I think should be mentioned. Tim Tebow gets ripped in the media for talking openly about his faith, while Jason Collins gets praise for having the “courage” to come out about his sexuality. Who is more courageous, Tebow, who knows he will get ripped in the media for what he says, or Collins who knows the media will give him nothing but positive press stories. How about a teenager being able to get the morning after abortion pill without a parents consent, but the same teen wouldn’t be allowed to take ibuprfen at school without a parents approval. Read this article, “After Obama”, also by Victor Davis Hanson. This entry was posted on May 3, 2013 at 12:07 am and is filed under Miscellaneous. You can subscribe via RSS 2.0 feed to this post's comments. It kind of makes you wonder, if marijuana is ever legalized sufficiently to warrant a corporation going into business and making lots of money, will they then be demonized and hated? Personally, I don’t think so. Alcohol, is big business, and the case could be made that alcohol has killed more people than tobacco. But we’re ok with that because these mind altering drugs, as well as others, help dull the pain of meaninglessness.